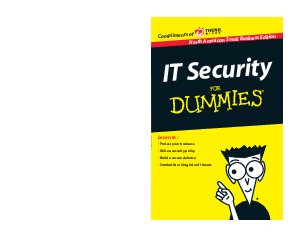 Welcome to IT Security For Dummies, North American Small Business Edition. IT security threats are everywhere and new ones seem to emerge every day. But if you're a small business, you have limited resources to protect your valuable assets. This book gives you the basics you really need to be secure. Outlining the major threats and how they could affect your business, it helps you craft a security policy, put together a coordinated defense, and, most importantly, manage security better. Cybercriminals are constantly moving in with new methods of attack - here's how to stem the rising tide.